On with the next show! 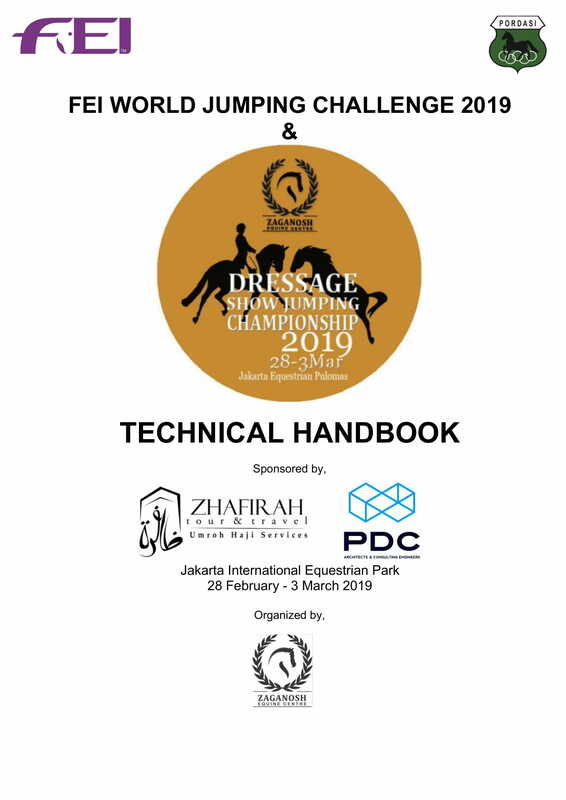 Zaganosh Dressage and Show jumping Championship 2019. 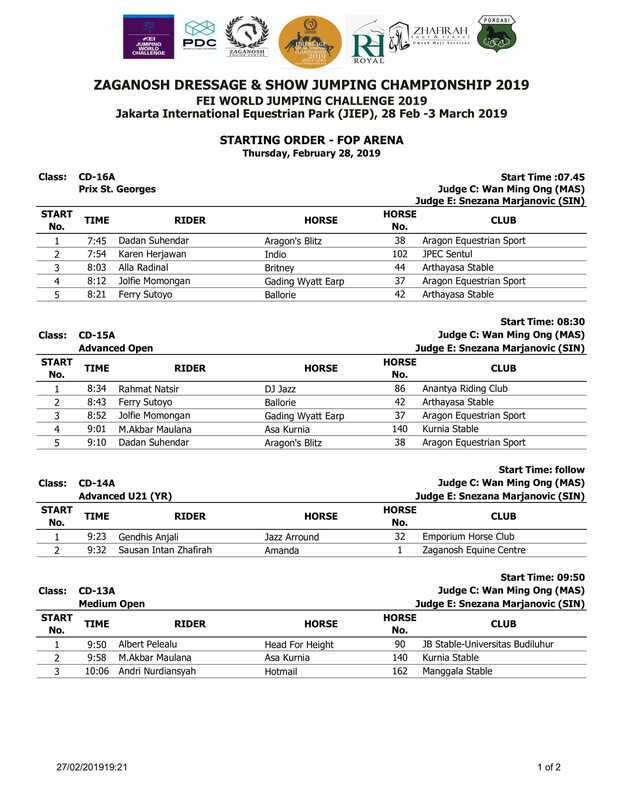 The Zaganosh Championship will be held on February 28 until March 3, 2019. 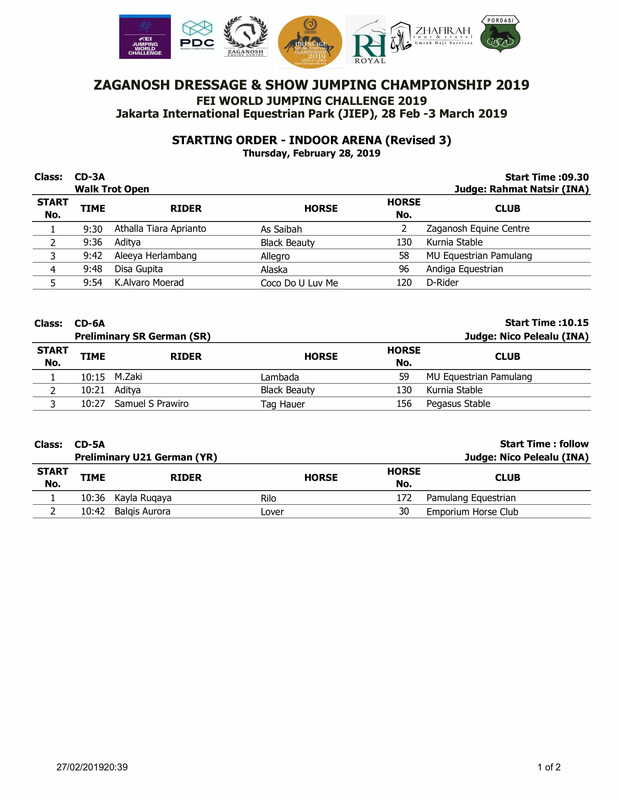 In addition to the championship, the show also holds the first leg of the FEI World Jumping Challenge. 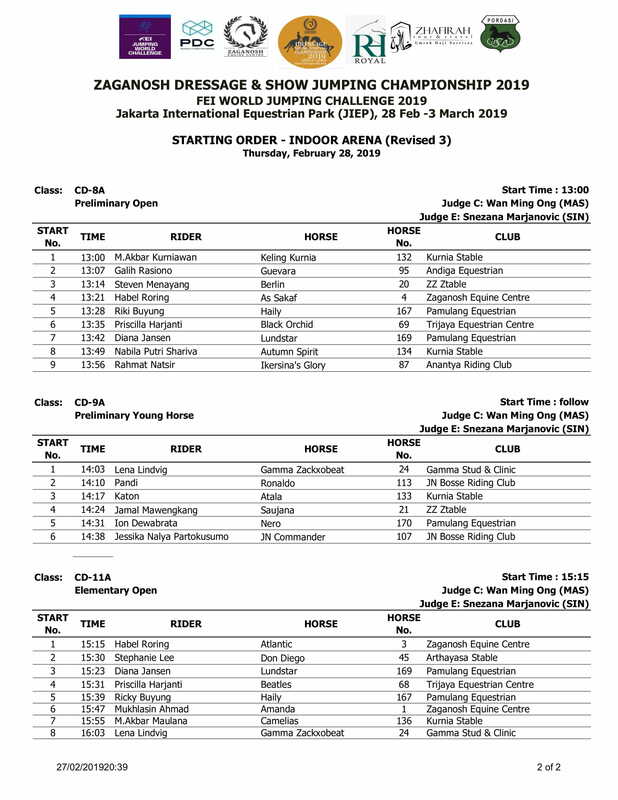 This years WJC course will be built by Rakshan Radpour (IRI). 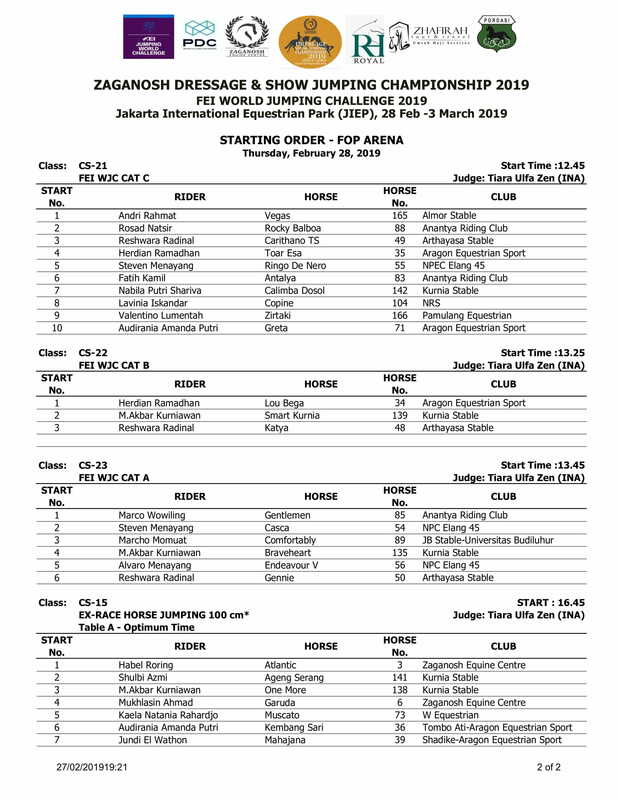 Following the WJC is the championship competition where the show jumping course will be designed by Olaf Petersen (GER) and dressage will be judged by Wan Ming Ong (SIN) and Snezana Marjanovic (SIN). Entry Closes: Wednesday, 20 February 2019. Entries made after this date will be considered ‘late entries’. Additional charges may apply.